MaxLinear showcased its latest power management products at the Applied Power Electronics Conference (APEC) in Anaheim. Among the products demonstrated at the MaxLinear booth is the new MxL7213 dual 13 A or single 26 A power module. This complete switch mode DC/DC power supply includes a wide 4.5 V to 18 V input voltage range and offers better efficiency and thermal performance than the competition. The MxL7213 and the previously released MxL7204 dual 4 A power module target industrial, telecommunications, networking and infrastructure equipment. 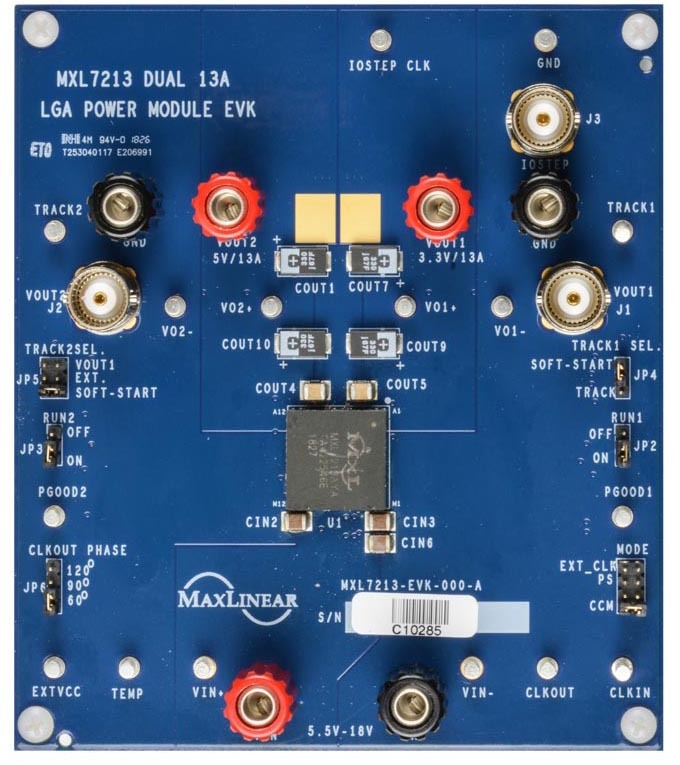 The MxL7213 dual step-down power module integrates the control, drivers, bootstrap diodes, inductors and MOSFETs in a single package for point-of-load supplies. 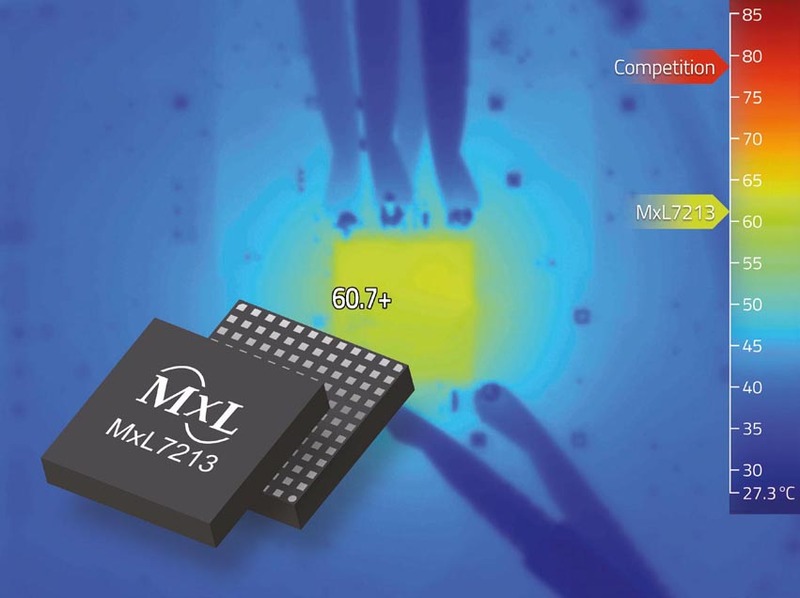 The MxL7213 supports two outputs each with an output voltage range of 0.6 V to 5.3 V, set by a single external resistor. The MxL7213 requires just a few input and output capacitors which simplifies design and shortens time-to-market. The module supplies either two 13 A outputs, a single 26 A or up to 100 A when paralleled with additional MxL7213 modules. Attention to thermal design, component selection and internal construction results in higher efficiency and extended operating range relative to devices with the same industry standard pinout. MxL7213 Efficiency vs Load Current. The MxL7213 is available now in two space-saving and thermally enhanced packages: a 15 mm × 15 mm × 4.41 mm LGA package and a 15 mm × 15 mm × 5.01 mm BGA package with RoHS compliant terminal finish. Samples and evaluation boards are available.